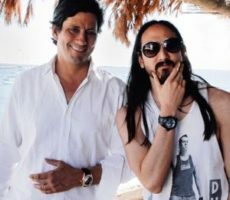 Exciting, bold, visionary, charismatic, groundbreaking … Steve Aoki, Grammy-nominated Producer/DJ entrepreneur designs new eponymous Corum Bubble Limited Edition timepiece. 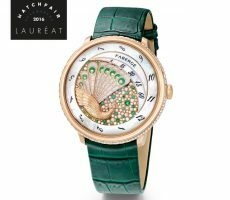 Fabergé won the Ladies Complication category at the Luxembourg Watchfair ceremony on 3 June 2016. 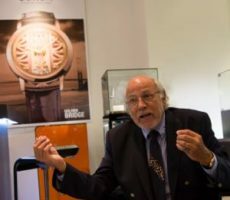 The award was given to the Lady Compliquée Peacock Emerald timepiece. 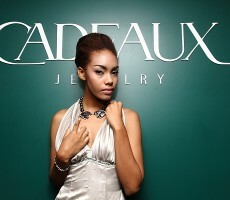 A Lady Compliquée Peacock is on show at Cadeaux Jewelry, Gaysorn, Bangkok. 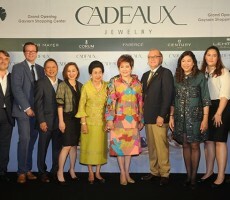 From Fabergé in London Mr. Justin Hogbin and from Thailand Khunying Nattika Wattanavekin led distinguished international visitors and Thailand celebrities and VIPS in bestowing great honour on CADEAUX JEWELRY on the occasion of the the Grand Opening of its new jewelry and watch boutique at GAYSORN Shopping Centre in Bangkok, 15th July 2015. 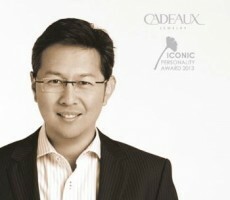 CADEAUX Jewelry presented the CADEAUX Jewelry Iconic Personalty Award to five celebrities from Thailand, at the Grand Hyatt Erawan Hotel, Bangkok, on 18 Sept. 2013. The Award recognises personalities for making an iconic statement that communicates their individual values, personality, and social status in a representative way through their performance and the jewelry they wear. 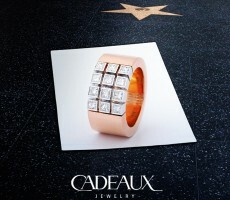 CADEAUX JEWELRY Walk of Fame : A new advertisement developed for CADEAUX JEWELRY’s ongoing campaign, featuring a poster with CADEAUX JEWELRY ring Berlin in 18 Karat gold placed on the pavement of Hollywood Boulevard’s Walk of Fame. Eye of the Panther. A one-of-a-kind creation with unusual gems and pearls. Two panther heads carved from Rubellite are set in 18 Karat white gold, studded with 111 diamonds, and attached to natural black Tahitian South Sea pearls especially selected by Andy Muller.